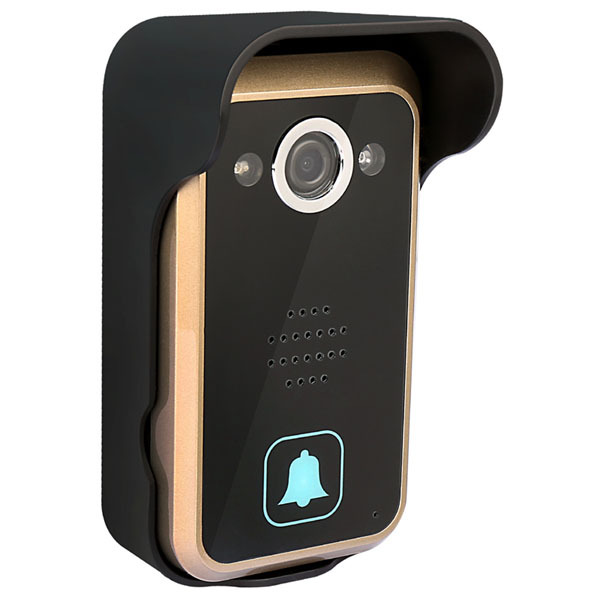 This wireless video door phone operates via radio (2.4 GHz). Provides a indoor range of up to 50 meters, which is of course dependent on type of house walls. The outdoor unit (camera) can be operated with the supplied battery or AC adapter. There is also the possibility of the system to an existing power supply (AC 9 -16V/DC5-16V)) to connect directly.One outdoor unit supports connection with max 3 indoor monitors, to satisfy you to know the visitor from the living room, bedroom and kitchen etc. Have peace of mind from being able to see, hear & speak to your visitors before opening the door. Adjustable brightness, color and volume settings.